I always had a silly super-hero complex. I thought that I could do anything if I tried hard enough or stayed up late enough. Add to that endless optimism and a belief that God will always make everything turn out right. There’s this tendency to see life as a maze with many options. Never give up; just find the way that works. Somewhere is the path that will let me ride a bicycle again and run free on the beach. But, my maze has had a lot of dead ends. No treatment has done anything to stop my RA from progressing or relieve the pain and stiffness, even prednisone. All of my joints hurt. I even get some swelling now. It’s funny. I was never a real RA patient. That’s what I thought. There was never enough swelling to post dramatic photos. The sed rate was never elevated to satisfy the doctors. The CRP would not stay high enough to let me into a clinical trial. I have not had a joint replacement yet. An older RA patient called me a “newbie” saying I don’t look like I have RA. The swelling has a weird silver lining. I think I’m starting to feel like I’m a real RA patient now, whatever anyone says to me; but that’s a double edged sword. I really want to ride a bike, so I hold on to the fact that some real RA patients also get real remissions. We rejoiced with the world this morning watching the wedding of a “commoner” to the British Prince. We have heavy hearts as we watch the tornados’ devastation in Alabama and other states. We have tearful eyes this afternoon waiting for Space Shuttle Endeavor’s final launch. The walls of the maze seem foreboding some days. On the other hand, walls don’t seem to be very strong when you look at what the wind can do. A maze is probably not the best picture after all. We are having our first meet-up tomorrow, Saturday, April 30th from 2 – 4 at Jason’s Deli in Altamonte Springs, just north of Orlando. This post spoke directly to me today. I am sero-negative and my blood work always looks “good.” I’m not swollen right now, though the pain goes on. My rheumo is concerned that insurance won’t pay for the next step treatments because I’m not presenting “enough RA.” And I too have always just barreled through. I’ve always done anything I set my mind to do, including some difficult things like running a marathon 2 years after being a non-runner. I’m having enough trouble wrapping my mind around this “new reality” of RA without it being that I am not RA enough! Thanks so much for posting things that are truly relevant to what we are going through! See Linda’s post below – looks like you’re not the only one today. I’m not exactly sure where that started that we had to look a certain way to certain doctors, but I do know that it’s not all doctors – since my last one didn’t agree with that approach. 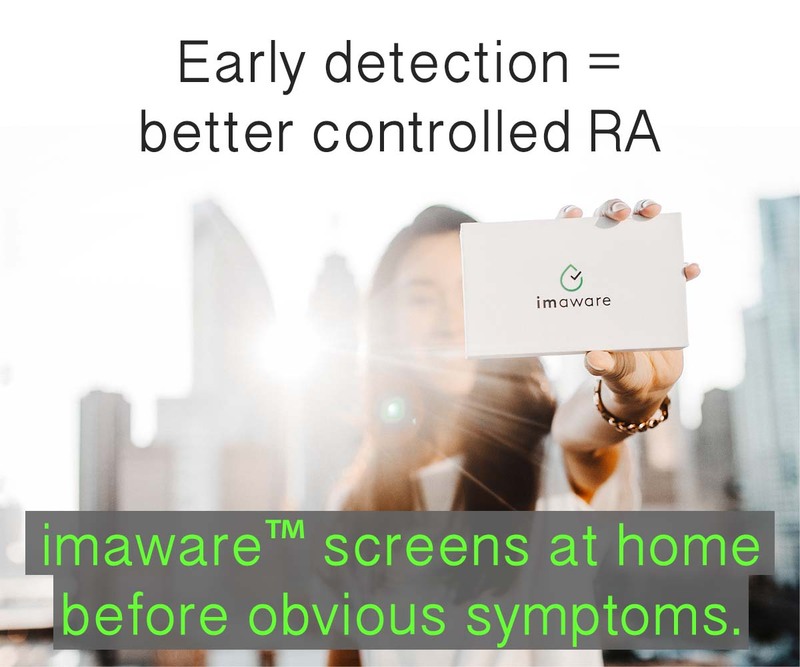 As far as payers / insurance goes, we need greater awareness and advocacy for RA to provide those companies with better information to be used in creating protocols regarding RA. If companies can deny or delay treatment based on blood tests or swelling (like they do in some European countries), then many patients will be un-treated or under-treated. Good luck to you, Jen! I always feel like I won’t be believed if I don’t have a significant amount of joints swollen. I had about every joint inflamed when I went to my RA dr initially but now not near as many. I feel like I am whining when I say that I hurt so bad when I can’t back it up with a swollen joint! It is as if having swollen joints is the big “marker” needed for validation of pain and RA. I just went to my RA dr. yesterday and felt like I somehow “failed” the RA test. But, I am down today because of the pain and fatigue. Perfect post Kelly. I think we all can relate to this! Thanks! We shouldn’t have to “back it up” – we have RA. We are intelligent adults and there is plenty of documentation that RA does damage and causes pain even when swelling is subtle. I’m sorry you’re down today too. I always wish we lived closer Cynde. I have been on Remicade for four years when my heath insurance changed. This is what happened the new insurance kept denying me treatments first they said they needed more records my doctors office sent them everything. Then they played the game of maybe your patient should have tried this and that first. This took 3 months meantime I had to go on high doeses of prednisone. I finally got my treatment yesterday. I paid a high price for that wait the pain and fatigue was wearing me out and I could not move much. Did they not believe I had RA? Good points, Linda. No, they probably knew you had RA; but they also knew that the treatments are very expensive. They probably do NOT know that they are risking damage for you or risking that you will no longer respond as well with these delays. I hope not anyway. Please read my reply to Jen below. Kelly you wrote August 30th didnt you mean April 30th? youre kidding. ugh. I’ll fix it. yes. Have a great meeting tomorrow. I’ll be with you in spirit. And, again, thanks for all you do to get the word out. A more rational, sympathetic, and informative word. Linda, I went through the same thing, changing insurance, being off Remicade for so long that my new rheumy re-started me from the beginning as if it was the first time I was taking it. I went from a dose of 800 to something like 300mg/kg. I’ve been on the 800 for over 3 years. And when I restarted this month, I had an allergic reaction to it. Makes me want to bang my head against the wall. And I am one of those whose blood work looks ‘good’. Yesterday my internist made me stop my 5k training (walking, not running, this will be my 6th one) because my replaced knee area is swelling and painful and I can’t get a 90 degree bend in it. I see the orthopedist on Monday. The walking was the one social activity I had. I’m so sorry. This makes me so mad – insurance &/or govt has no idea that can happen. First, sorry to say I won’t be able to attend the meeting tomorrow as I have a conflict, but hopefully I’ll make one in the future. My last two blood tests have been the best I’ve ever had. When I showed the RD the knot on a joint and a swollen finger and said I had morning stiffness for over an hour, he said that blood tests can show nothing, yet the person could be having inflammation. Thank goodness he sees the reality of my situation. He tries very hard to continually make some improvements – this week he upped my MTX to 8 pills from 6 pills. This is a continuing debate that I have within my mind, I hurt, some joints are swollen and red some are not, but I’m seronegative. At least my rheumy has prescribed all he can, I’m on all that I can be MTX, prednisone, biologic, but it never seems enough, I’m just maintaining. I’m lucky to have all the treatments I do, but, I feel like a faker. Some of that is my fault, some is listening to my spouse, some is remembering what I was doing just a couple of years ago. Now, my weight has increased from meds and the pain that I get from walking. I tell myself to work thru it, but I know how painful my joints can get, and I *need* to work both for my welfare and for saving face. 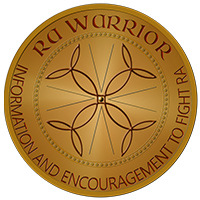 RA is definately a contradiction on many levels; inside vs. outside, self understanding vs. family, meds vs. level of tx, medical intervention vs. not, frustration vs. comprehension/acceptance, work vs. rest. No wonder I’m so worn out! I have very thin hands and feet (the only things on me that are thin now) so even when my joints are swollen they look “normal” I have such a hard time getting people to see this. lucky i have an amazing doctor who listens to me and does not go by blood tests ( i am sero negative) or by how swollen my hands are. I really think that some day they are going to find out that this disease they cal RA is actually a lot of different diseases that they have wrongly been lumping together. I think you’re exactly correct – that would explain a lot. I am also thin and when my feet were swollen 2 sizes larger during pregnancy the midwife kept insisting they were normal feet. Until I had the baby – what a shock for her to see my skinny feet. Also wanted to say that even though I am quite obviously “seropositive” and am showing some outward signs (though the swelling is only really apparent to me and my husband), I often don’t feel like a real RA patient either. Especially when so many people are misinformed about RA and say I am too young to have it. It makes me feel like a faker sometimes or makes me wonder if the pain is this real or if I am magnifying it because I do have a diagnosis. It’s frustrating and it sounds like those feelings run across the board regardless of how a person’s disease presents. Thanks for posting and some interesting comments. As a chemist with over 20 years experience in R&D, we are forever optimistic that the next experiment is a breakthrough and they are few and far between. Also realise that solutions come with their own side effects, challenges, and “hindsight is an exact science”. The more data we have then better can be our prediction of a positive outcome, a reason for limitations or supporting a theory. Amongst other things, after reading this, I was thinking how muscles etc are “slightly damaged” during physical exertion giving pain, one form of RA then could be “slight damage” without actually doing any exertion but much pain? I do feel this way sometimes but not sure exactly why yet, could be several things, working on it. Paul, and Kelly, and Mlillich. I agree it’s probably more than one disease, perhaps with different but similar causes. Or at least with many variations due to various genes and environmental factors which will be hard to be teased out. Sometimes I get struck by the amount we don’t know, much less know about RA and many other diseases such as myotonias, endocrine disorders, etc. And the social media revolution will both help and hinder medical research. Anywho, having been off on a tangent of someone else’s undiagnosed mess of a disorder, I happened to come across some research papers regarding “RHEUMATOID MYOSITIS”. I had not come across this particular term ever before which seemed really strange. It appears to have had actual biological changes found on biopsy so it seemed really strange to find only 11 papers about it in pubmed. Only 11 – over a period of sixty years! That would seem to indicate that it must’ve been determined to be something else, although I didn’t see anything refuting it yet. A brief search seemed to indicate that it may have gotten wrapped into the Fibromyalgia label. But I wonder if that was premature? How could something with actual muscle biopsy findings be swept under the rug? I could be wrong, but I don’t think there have been specific muscle biopsy findings with Fibromyalgia? Maybe someone can research the background on this further and figure out why we have never heard more about RHEUMATOID MYOSITIS? I wonder what Dr. Wolfe knows or thinks about RHEUMATOID MYOSITIS in relation to fibromyalgia? Interesting. You could ask Dr Wolfe I guess. This post really hit home with me. I have missed three days of work and feel incredibly guilty. I could be worse I know. I was diagnosed with RA a year ago. I tested negative for the RH factor but other blood work like sed rate and the visibly swollen joints in my hands led to a diagnosis. Living with a disease that is not understood and not visible is difficult. I often feel that people think that I am faking and they certainly don’t understand. The fatigue is the most complicated to have and explain. Shelley, I feel like that too sometimes, even 5 yrs after diagnosis. I talked with a woman this week who’s been diagnosed 30 years and she feels that way still. So, it’s not you or your fault. For years (even before developing RA) I used the labyrinth for prayer and relaxation. A local retreat house has a large outdoor labyrinth and I would walk. For the past three years I have been unable to walk the path, so I bought one that hangs on my wall, and can be taken down and used – my finger does the walking or sometimes, just my eyes. And I sit here, with a full-blown case of shingles (herpes zoster) involving the forehead and eye, the result of a Remicade treatment as well as the medications and other stressors in my life,- missing a fun weekend with friends in New York, in quaratine (my daughter-in-law is pregnant), I realize what RA can do, can mean, can isolate! Kelly – I can completely relate to this post! I am seronegative and have never had an elevated Sed rate. My CRP has only been elevated once. And to top it all off, I rarely have swelling that would be visible to anyone but me. From time to time, I still wonder if I have PsA rather than RA. My grandmother and great grandmother had spondy disease, while my aunt has RA. I have symptoms of both! It’s very confusing. Despite my lack of swelling and blood markers, my rheumy treats me aggressively. I am very thankful for his position on this. I have a recurring fear that if I ever relocate, I won’t find a rheumy to treat me because he/she will not be able to “see” the RA. I am seronegative and have minimal swelling – off and on – it has been a struggle to get a diagnosis and treatment. My blood work is, as my new rheumy says, unremarkable. My last rheumy was instistant that I didn’t have RA because my blood work was negative – regardless of the clinical evidence and without xrays. My eldest daughter – now 35 – was just last week diagnosed with RA. 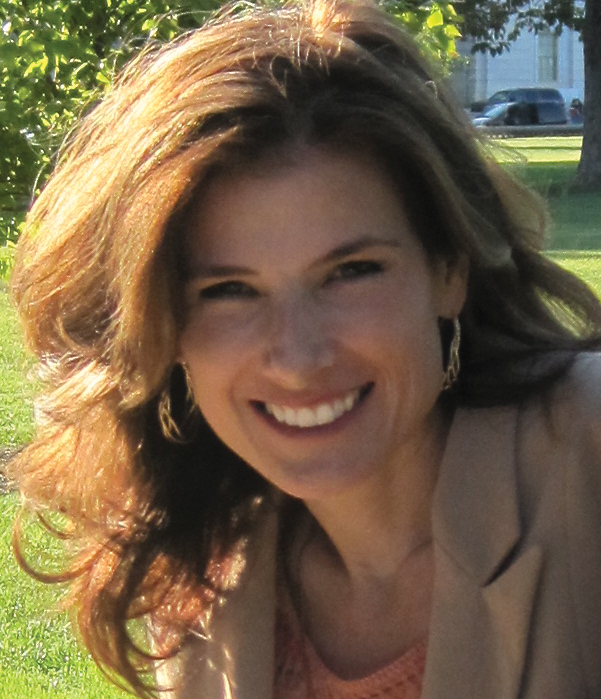 She has a positive RF and antiCCP – it’s a gimme, so says her rheumy. She is frightened and depressed but for now has minimal clinical symptoms. She presented with raynauds and a stiff neck and sore knees. RA is a disease with wildly different initial presentations and courses. Even some specialists in the disease seem to still hold the concept that you (the patient) should fit the text book presentation when hardly anyone that I talk to actually does. It’s so frustrating! Meghann – I do not think you are paranoid. I am in the exact same boat as you, and I have the same fears. It is bad enough having this disease, but even worse when you feel the need to “justify” having RA. My goodness, Kelly! Are you in my head? Your words are so much like my thoughts own today. Your post came at just the right time too – someone expressed irritation that I’d write such a post as this. All I can do is be honest. I wish you could be here too. This article couldn’t have come at a better time. Lately I have been struggling, mentaly and phyiscally. My dr refers to it as Polysitic Inflammatory Arthirtis…otherwise knowen as Seronegative. I guess you could say he understands to a point, we’ve gone through all types of meds and have recently started Remicade(I’ve only had 1 infusion, no luck yet. Insurance wouldn’t cover it, went through Johnson & Johnsons Patient assistance. The Meet up was great! It was kind of funny walking in to a busy restaurant and only knowing Kelly’s face from the blog. I was second to arrive… walked through the tables looking for people with RA hands….didn’t see one. Finally I overheard 2 women talking, and asked them if they were with the warrior group, and they were…we finally found everyone (Barb made it easier by wearing her warrior t-shirt) It was interesting to know that we all have a common denominator in RA; yet all of us have a different RA path regarding treatments, co-diseases and the history of our RA. To everyone in the restaurant we proved that “you don’t look sick” theory…we were 6 chatty friends who were catching up on a Saturday afternoon. It was worth every minute to be amongst the people who know what each other struggled with and were so supportive of each other. Can’t wait for the next meeting! I’m certain you’re correct and that’s why I want our new Foundation to work with researchers and doctors. It does no good for them to accuse us of malingering instead of treating the destructive disease that we are already diagnosed with. This is so obvious to me after having contact with thousands of patients – yet some doctors act as if they’re completely ignorant of this concept. I rarely if ever get swelling. Although the pain, ‘creakiness’ and morning stiffness is always there. My RA doc always just says ‘’your bloods are fine’’ I don’t remember her ever telling me specific results like SED rates etc. On my last visit she said I was in remission as I never had any swelling – even though I had pain at level 7 or 8 (on her scale of 1-10 ) ! Keep up the good work, your’s is the best site I’ve found on RA. Some of the others get a bit too technical and talk ‘ gobbledegook’.